Years ago, my husband used to run a coffee shop. They sold 900-calorie coffee drinks, as well as sandwiches, salads, and snacks. Customers would often quiz him on the offerings, as they decided what to eat or drink. They’d ask him about sizing, or how it tasted, but far more often, they’d ask him, Is it healthy? Not everyone has the same definition of what healthy means, or what healthy habits look like. The dictionary says health is “being free from disease,” but my standards are higher. I don’t want to just avoid sickness, but to feel good. While some things are blatantly unhealthy, much of good health is subjective. 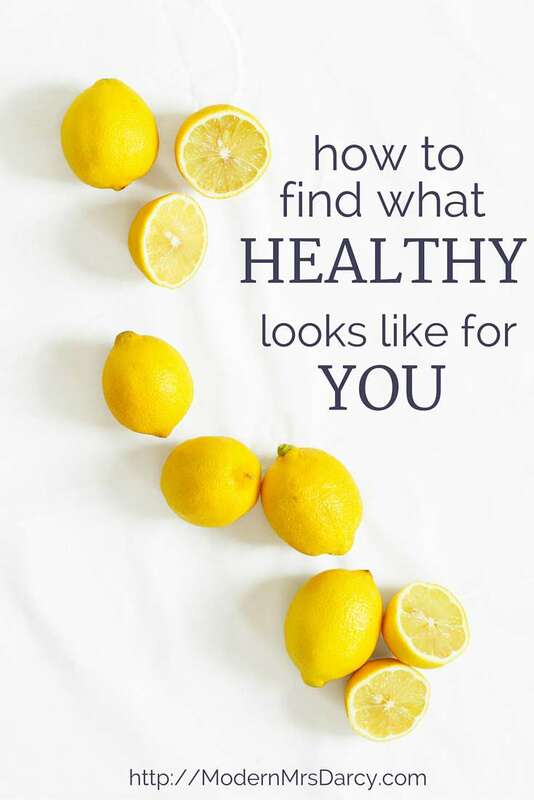 What’s perfectly healthy for me might make you feel blah, and vice versa. The only way to figure out what works for you is through trial and error (and, if you’re lucky, with some feedback from a doctor, or trainer, or nutritionist). For me, healthy looks like a good foundation: good food, good sleep, lots of movement. When it comes to food, healthy looks like high protein, high fat, low sugar, no artificial sweeteners. (My healthy-for-me food choices would earn me a scolding from many of my husband’s former customers.) But after years of trial and error and blood work, I know that I’m prone to hypoglycemia, and that kind of food keeps my blood sugar stable. Artificial sweeteners make me rabidly crave sugar, so I lay off them. I ate too many carbs on vacation, and then I got sick, because that stuff wasn’t healthy for me. I’ve reined in my eating habits this past week, and I’ve felt much better. When it comes to sleep, I need a bunch. I wish I were one of those people who only needed 6 hours a night, but I need 7.5-8 or bad things happen. Healthy looks like building rest into my life. Not just sleep, but rest. I need exercise, and by now I have a good idea of what kind I enjoy and what kind I dread. (Your preferences are probably different, and that’s great.) I need movement, too—not just the kind that builds muscle or makes me sweat. When I get busy, exercise tends to be the thing I drop first. Not activity (I’m pretty good about getting my 10,000 steps), but exercise. So I skip it, and then I don’t feel good. Not healthy. I need daylight: the natural kind when I can but the happy light kind when I can’t. When we moved last year, we looked for a place with big windows facing east and south. And though I crave daylight, my skin hates the sun: I’ve accepted that my skin and intense sunlight are never going to be on good terms. Healthy looks like acting accordingly. Healthy is often something we look for “out there”—like it’s just one thing, and we can have it. I did CrossFit for years. I have mixed feelings about it, but I’m very grateful for one big takeaway: your body is yours, it’s unique, and you need to tinker until you figure out what works for you. If you can experiment and pay attention, you can know your body and learn how to treat it right. Previous: What my kids are reading these days. 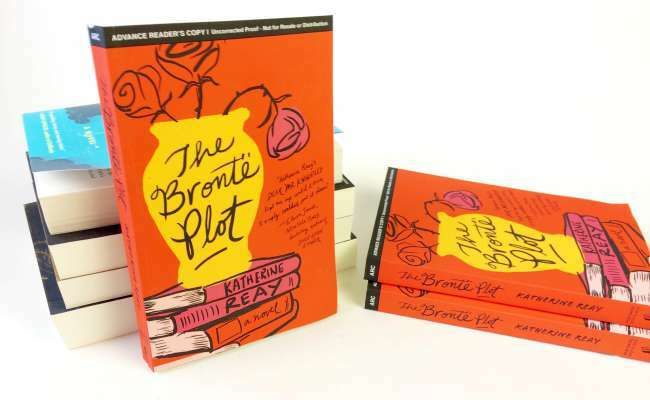 Next:Win a copy of The Brontë Plot two months before publication date! Excellent message: Know what is right for you; Defend it if necessary. Thanks for sharing it – though I know this, I need to be reminded often. I’m curious about your cross fit experience! I’ve been realizing that deliberate exercize (and not just the 10000 steps/day movement) is part of my healthy… Exploring options and that’s on the list – would love to hear your thoughts! For CrossFit, the quality of the trainer/coach is so important, otherwise it’s very easy to get hurt in any number of ways. It IS fun and efficient, and you get results. Love this post! Healthy indeed looks different for everyone! For me, I eat Paleo following the Eat To Perform protocol and I CrossFit 5-6 days a week (I drank the koolaid two years ago, and I still love it even more every time I make gains). I am also a person that needs more sleep- I’m worthless if I get less than 8! Exercise is vital to me. For my physical health as well as my mental. It’s built into my personality. When my husband is stressed, relaxing and spending time with family makes him feel better. Me, I need to go for a run until my legs are numb. Daylight here too, and warmth. Winter is rough for me. Great post! You’re right. It takes time to figure out what’s healthy for you. Everyone’s body is different. I’ll check out the free course. Thanks! 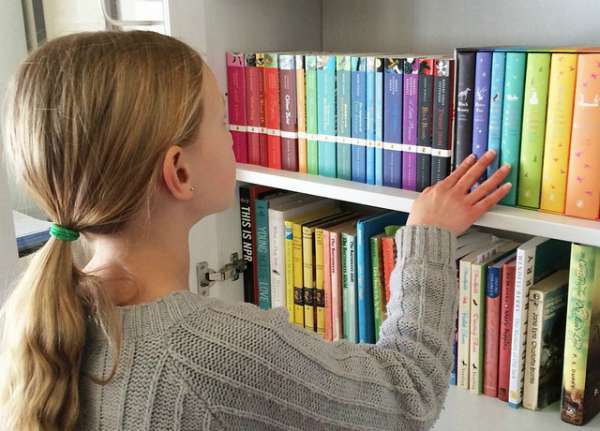 I got the same type of question as a librarian when it came to recommending a good book. I would say it depends on your definition of good and people would like at me funny. I went on to explain that what you might consider good is not the same as what I’d consider good. That’s such a great analogy! Timely post! 🙂 I’ve been thinking about this a lot in 2015 and am finally taking some action steps. At the moment I’m doing Whole30 (6 days to go!!!) to help my body rest and think/discuss some lifestyle changes with my husband. You’re right: it DOES look different for everyone. My husband can eat wheat and feel fine, but I’m finally admitting that I have a problem (gluten) and that I must make changes to perform well and live life better. Thankfully, he’s on board with making changes alongside me. It’s all a process and seems to mean adapting during different seasons of life. Thanks for these thoughts and ideas! Absolutely! When I work with my clients this is EXACTLY the way we start – trying to figure out what is healthy for them. It’s different for everyone AND it can change as your life changes! Love it!!! When you say too much carbohydrates, do you mean breads and pasta or are you including fruit (since they are full of carbohydrates too)? If it’s green, it’s fine. Some of the fruit and starchy stuff I have to be careful with (like, if I didn’t abhor bananas, I could eat one with a big pile of almonds but not plain) or lay off it entirely. I’d put whipped cream on my pizza. Several years ago I went paleo-ish and it cleared up a few health problems (ex: debilitating migraines went from twice a week to twice a year). Then I got lax about it. And…got healthier than ever! And now I’m pregnant with a little vegetarian baby (baby wants nothing but mangoes, popovers, and gazpacho, doesn’t like protein, can’t tolerate fatty foods), my blood pressure’s the best it’s been through my three pregnancies, and my iron is double(!) what it was with my meat-loving paleo baby. My takeaway is that healthy habits look different for everyone, *and* it’s going to change throughout your life, so be open to those changes. I’d be sick and miserable if I were attempting a high fat low carb diet right now, out of my old belief/experience that it’s healthiest. Oooh! I forgot the fries. Cajun are my current favorite! This is really good. 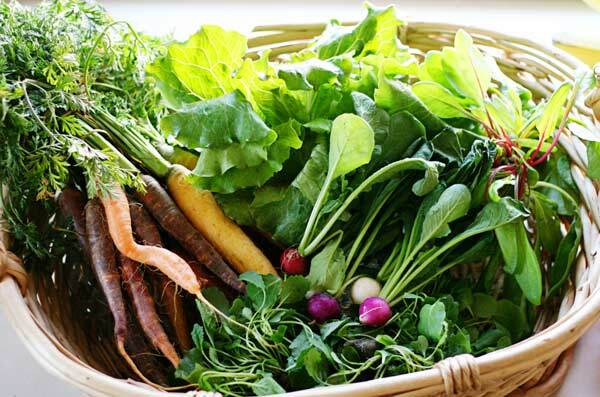 My food philosophy is a lot of whole, simple food with meats and vegetables. I don’t, however, prioritize buying organic. If I did, I would honestly end up eating LESS healthy because I would be buying less vegetables! It’s all a matter of personal balance. For me the first key is exercise. I love Jazzercise and do classes 3-5 times/ week. It is basically dancing so it is fun and easy on my older joints. I go to a center with an incredible group of teachers and a supportive and affirming group of ladies. In order to stick with any exercise plan you need to enjoy it. I used to run but I hated every minute of it. I also take a yoga class once a week. I also walk my dog every morning and evening . For eating I have found that a low salt, low sugar, high fiber diet of whole grains and lots of vegetables and fruits works best for me. I tried gluten-free and I felt terrible. It isn’t for everyone. I have high blood pressure but since I have reduced sodium my BP has dropped 30 points. My goal is to get rid of BP med soon. I do eat a lot of lean chicken and turkey but rarely ( 1-2 times/ year) eat red meat. No sodas, no artificial sweeteners, lots of water and tea for me. I need a minimum of 7 hours of sleep and I try for 8 most days. Love how much you know about yourself and your concrete goals! Wishing you well as you work towards them. Yes, I so agree with you, Anne! Healthy depends on the person. People ask me often how I lost so much weight, and my go-to answer is drink water because I believe that most of us are not drinking enough. But the long answer is that my body regulated as I healed from depression. And yes, I drank more water. But as my mind and spirit healed, so did my body. I started to eat more homemade or at sit-down restaurants because it became a type of self-care to indulge in good food taking time to eat it, and that led to me stop eating and craving fast-food. I’m still looking for the right kind of exercise for me because I have very bad asthma that gets triggered just by walking up a slope. I’m thinking of getting back into dance (jazz/ballet/modern) if I can find classes for adults near me. That was something I did in college that I loved and gave me a workout without exacerbating my asthma. Your short answer and long answer are very interesting, especially side-by-side. Congrats on the big accomplishment, I’m so glad you’re feeling good these days. Good luck as you keep looking for the right kind of exercise. Such a good message. There is so much that is shared today about what to avoid in order to be “healthy.” No grains. Only sprouted grains. Grass-fed meat. Local meat. No dairy. Raw milk. Only nut milk. Organic produce. And so on. I am sure that most people who share their ideas do so genuinely from their experience of success with their particular diet. But I love the distinction you make, that our bodies are different, and each of us can handle different things and still be healthy. As far as other needs to be healthy, I have come to realize that my husband needs time outdoors, most often with a fly rod in hand, to decompress and process stress. I also need an early bedtime and an hour(ish) of solitude in the afternoons. It’s a good place to be when you begin to realize what you personally need for health and you can release some of the pressures that do not relate to your needs. A great message. I have been trying and learning what makes me feel good more this year. Time outside is key for me. I’m curious what your recommendations are for a happy light? I miss the sunshine during our Midwest winters. I also thought it was interesting one of the criteria for healthy food for you is high fat. I learned good, healthy fat is key for me this year as well. I know what you mean: to many people “high fat” sounds like the opposite of healthy, not a requirement for good health! What a great resource! So excited about this! Thanks, Anne! It was definitely an eye opener for me when I realized that no one else could tell me how to be healthy – that I had to figure it out for myself. There are probably some universal habits out there, but it’s those little tweaks that make all the difference. And it changes over time and circumstances. I felt like I had a pretty good handle on my healthy lifestyle, and then I got pregnant. And now I’m figuring it out all over again. Lovely post! Great post! And I agree – healthy looks a bit different for everyone. I LOVE running long distance as my preferred exercise, but I don’t personally think it’s healthy for me to do that at the expense of building some muscle. I’m thinking of trying some Barre workouts after reading about it in The Primates of Park Avenue. Another thing I’ve learned about myself much more recently. I can get by on much less sleep when I wake up early (before 6 AM). If I wake up later – even sleeping in til 9 AM and getting 9 hours of sleep, I feel crummy. I’m not a morning person at all… I can always pull an all-nighter at a moment’s notice. But for whatever reason, my body is so much happier if I wake up early in the day – regardless of what time I went to bed the night before.